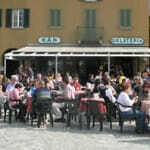 In Lake Como Italy, there are several general hospitals and walk-in clinics. Hospitals always have 24 hour emergency services and are up to western standards. Most hospitals have English-speaking doctors, the smaller Clinics may not, but they will find someone to translate for you. If you have a minor medical issue, you may visit any clinic or hospital, should you have an emergency, dial 113, and an operator will send an ambulance, police, or a fire brigade as needed. 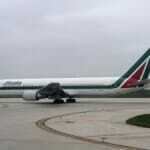 Italian Hospitals accept many foreign medical insurance plans. Foreigners may have to pay for medical attention. Please call your medical insurance provider to get more information on coverage abroad. Some major credit card companies offer supplemental Travel Insurance. Your vacation can take a year to save for, only a second to ruin. Purchase Travel insurance through AIG Travel Guard. Starting at $30. 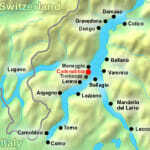 Here is a short list of general hospitals in Lake Como, Italy. You can use our maps page to map out the addresses. It is critical to have travel insurance when traveling to any foreign country. Noone likes to thing negatively but there are always unexpected accidents waiting to happen. Something like a hip fracture could cost you over 15,000 Euros if you don’t have adequate travel insurance. They can also cover loss of luggage or other personal belongings such as passports and money, repatriation costs and cancelled or delayed flights. Your vacation can take a year to save for, only a second to ruin. TravelGuard.com Starting at $30. Most tourists pay way to much on travel insurance which shouldn’t cost more than 20 Euros a week. This is usually due to the fact of using travel agents instead of online travel companies which have far less overhead and maintenance costs. Annual or single trip – Annual covers you for several trips during the year. Family travel insurance – Premiums change depending on the number of children you have. Business Travel Insurance – Usually only available as an annual plan, it helps business travelers make multiple trips. Over 65s Travel Insurance – Pay attention to the fine print when purchasing insurance for this ‘high risk’ category. Winter/Adventure Sports – Skiing and snowboarding can be dangerous. Backpackers – Make a list of all the countries you’ll be visiting to make sure you are covered. Pre-existing Medical Conditions – be prepared for larger insurance premiums. Personal Baggage – covers lost luggage while abroad. Cancellation cover – review their cancellation policy. comoguide.com may receive a small commission if you decide to purchase travel insurance from AIG Travel Guard, although this has no influence on the content and information we provide on this website. 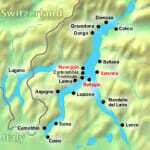 The tap water in Lake Como is safe to drink and even quite healthy as it comes from the alps. But never drink water from mountain streams as it could contain agricultural wastes, parasites or other unfriendly organisms. To prevent food diseases, make sure your food is properly cooked. Some travelers may experience diarrhea, nausea, urgency and bloating, this could be a result of eating uncooked food or drinking water that was untreated. Make sure you drink plenty of liquids. Consult a doctor for medical advice and treatment, especially if it is a child. 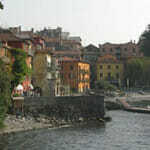 We wish you a healthy and enjoyable vacation to Lake Como Italy. NOTE: This page is intended for informational purposes only, it is not a substitute for professional medical advice. Please consult your physician with any questions or concerns you may have regarding your health and travel plans and read our Health Disclaimers for more information.